Small/Medium - $67.99 Only 3 left! X-Large - $67.99 Only 1 left! The whole “costume” thing? It’s not always comfortable. Sure, you get to look great, but sometimes, you just want to wear an outfit that will keep you feeling like a happy hombre. You want to be able to move unencumbered, like the free spirit that you are. You don’t want to wear any capes. You definitely don’t want to wear a mask. And spandex? Yeah. No. Just no. So, what’s a guy to do? Sacrifice what he wants just to attend a costume party? No, friend. That’s not what you do. Instead, it’s time to think outside the box. It’s time to get a costume, that doesn’t even feel like a costume. 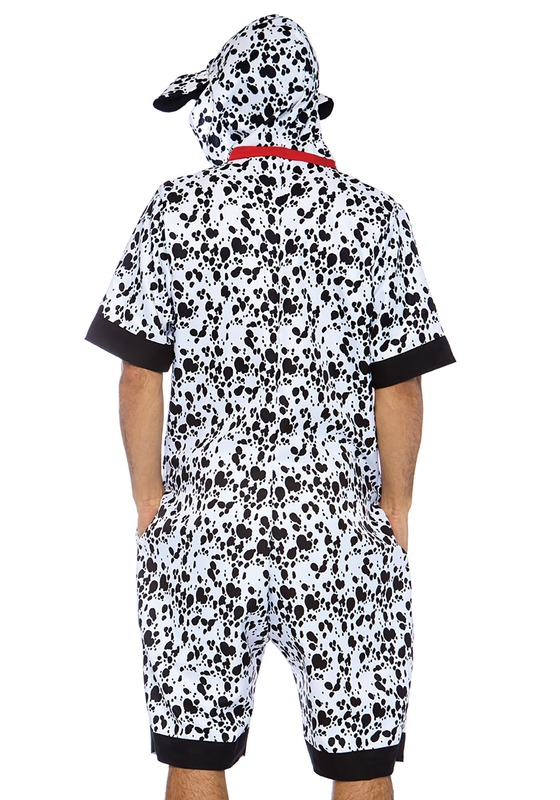 It’s time for this Dalmatian Dog RompHim Costume. So, what’s up with this dog costume? We know what you’re thinking. Aren’t rompers just for girls? Well, they used to be. Women had a lockdown on the type of garment, but this one here? It’s for guys. Why should the ladies hog all the good clothing? It’s a one-piece romper that fits with a zipper in the front. It’s easy to put on, easy to take off, and it feels like wearing a shirt with a pair of shorts. The fabric is a Dalmatian print and comes with a stylized hood, so you’ll look like one mischievous mutt at your next costume party. It even has a convenient pocket on each pant leg, along with one on the chest, so you have plenty of places to stash your phone and your wallet. 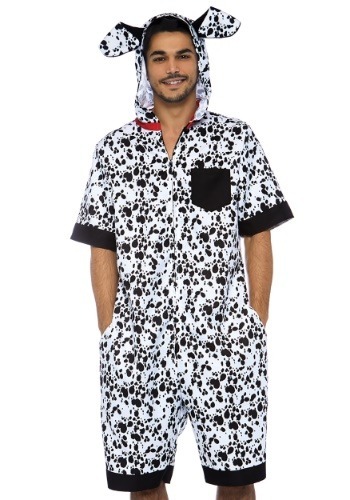 When you show up to the party wearing this Dalmatian Dog RompHim costume, you get all the benefits of wearing a cool costume, but none of the drawbacks! You’ll be able to relax, knowing that you’re the most comfortably dressed guy at the party!